Ey up! New for 2019 is our extended range of cycling holidays in Yorkshire. This year we are incredibly excited to be expanding our selection of cycling tours in this classic British destination. 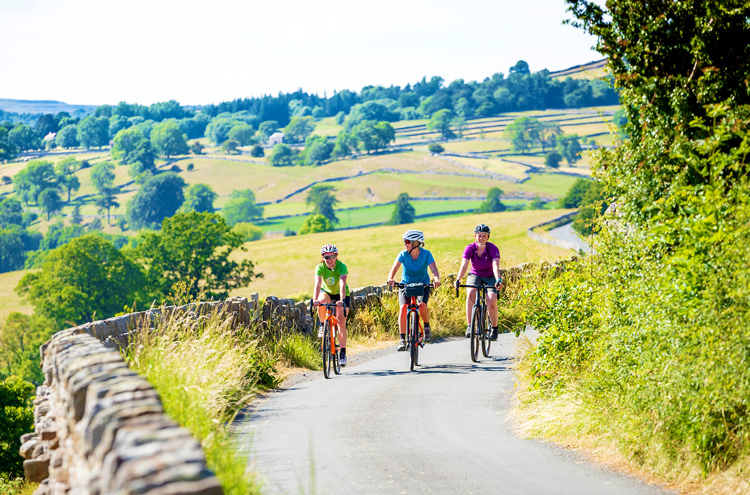 Proudly referred to as ‘God’s Own Country’, Yorkshire is home to some of the UK’s most scenic landscapes and our three new itineraries enable you to enjoy it all at the speed of the bike. Our latest addition to the Best of British range, The Yorkshire Wolds, follows the National Cycle Network route 66 and is a journey of rolling hills, stunning coastal views, pretty villages, historic sites and gardens. Timeless landscapes set the scene here for some picturesque leisurely pedallin’. 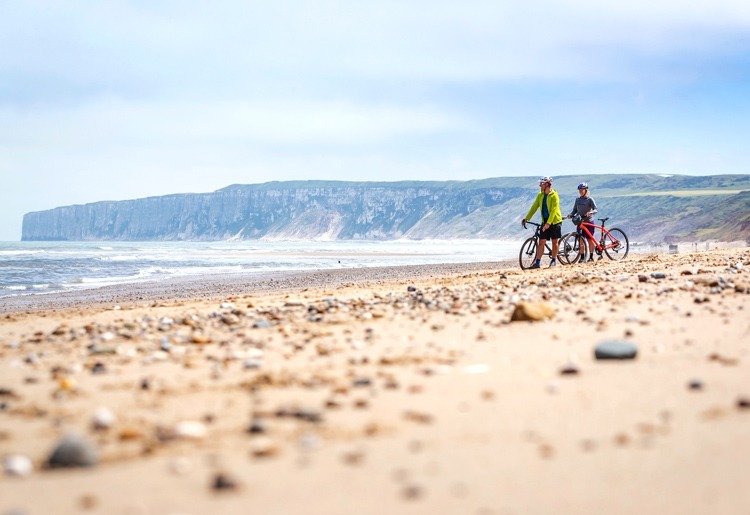 For cyclists after something more challenging, we also have a new self-guided version of the classic Way of the Roses coast to coast cycling route, which takes in more of Yorkshire’s undulating landscapes. For something off the beaten track, our new mountain biking weekend, Pennine Bridleway, will take you on one of the longest dedicated off-road routes in the UK, across the scenic Pennines mountain range. En route, you’ll be supported by our expert guides, legendary picnic lunches and top of the world vibes as you navigate open moorland. If you love being outdoors, than you will fall in love with Yorkshire! Not only is it the largest county in the United Kingdom, it is also one of the greenest too and is known and celebrated for its beautiful landscapes and rich history. Cycling here is not always flat and definitely features some challenges, but any effort is always rewarded with unparalleled views. Famed for its picture perfect landscapes, the Yorkshire Dales National Park stretches across miles of wild moors, stone-built villages, scenic woodlands and rolling hills – all waiting to be explored! The region is also blessed with a stunning stretch of coastline bursting with charming fishing towns and villages dotted with iconic beach huts, impressive cliffs and sandy beaches. If you look at the list of top cities to visit in UK, York will definitely take one of the top spots. Boasting 2,000 years of history, this former capital of Northern England, is bursting with things to explore and enjoy – no visit here is complete without a visit to its unmissable gothic cathedral, whilst its historic medieval streets are perfect for souvenir shopping. Foodies will also feel right at home here with many local and traditional pubs and cafes dotted all around the county – perfect for enjoying a coffee stop, a post ride drink or a hearty dinner. And, of course, you can’t go to Yorkshire and not enjoy a traditional British Sunday roast with some Yorkshire puddings on the side. Adding to the outstanding natural and historical charms, Yorkshire has now gained recognition as somewhat of a cycling mecca. In 2014, it took centre stage in the world of professional cycling, when the Grand Départ of the iconic Tour de France took place here. If that wasn’t enough, the UCI Road World Championships are set to put the spotlight on the region once again in 2019. This is exciting news for the region and its visitors, as Yorkshire continues to develop as a world-class cycling destination. 2019 promises to be another great year for Yorkshire and British Cycling! 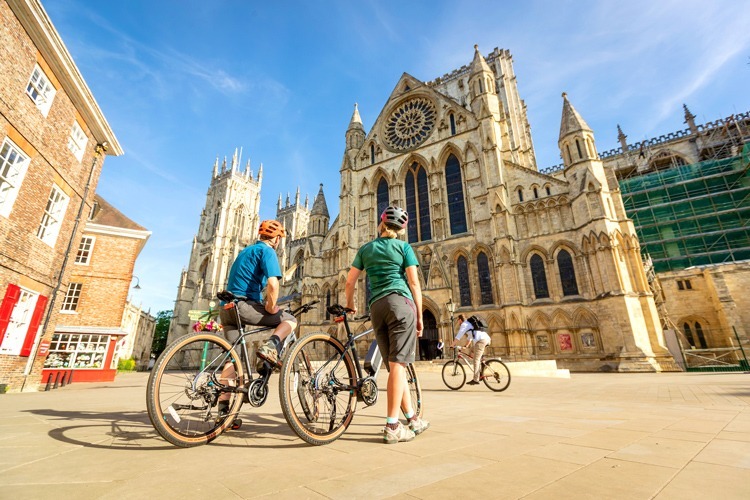 Our cycling journey starts in the beautiful market town of Beverley, where you will have a chance to explore its small cobbled streets and majestic Gothic architecture before setting off on your rural cycling adventure. After leaving Beverley, you will enjoy cycling through the rolling fields of the Wolds, including the ride to the highest point of the area at Bishop Wilton. Passing through picturesque villages, market towns and many local country pubs, the route will take you to the Howardian Hills – a designated Area of Outstanding Natural Beauty which includes many peaceful woodlands and historic country estates. The cycle route then continues to one of the most beautiful and best-loved coastlines in the country. You will watch the thousands of seabirds on the cliffs at Bempton, also known as ‘sea bird city’, before heading to Flamborough Head – a stunning stretch of rugged white cliffs. Finishing the day exploring the bustling seaside town of Bridlington famous for its fish and chips and its cycle friendly seafront promenade. Before heading back to Beverley, you’ll have some time to explore Driffield and its surroundings – a cultural ‘capital’ of the Wolds and an ideal place to take a break before your last bike ride. Following a National Cycle Network route, our Yorkshire Wolds trip uses a combination of cycle paths and quiet country roads and is perfect for anyone who is after an easy-going ride with an occasional cheeky climb. Feeling inspired? We have a great selection of cycling holidays in Yorkshire, including our latest additions to the range – Yorkshire Wolds (Leisure) and Pennine Bridleway (MTB). Go to our website to discover this classic British cycling destination and find out more about the routes and itineraries we have on offer.